From what I gather, there are two versions, one for the current stable version of Boostrap 3.x, and one for the Alpha version of 4.0. There is one downside to Material Design for Bootstrap: The author has a free version that is rather limited, and a paid Pro version that includes all the rest of the missing features. 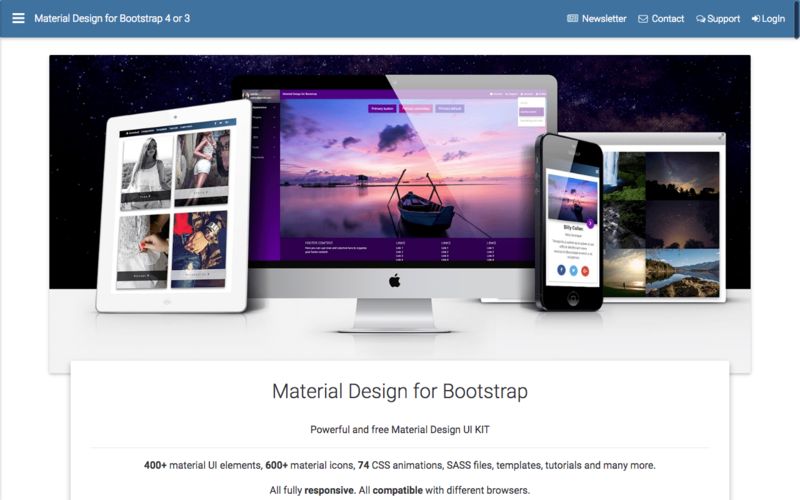 Check it out at mdbootstrap.com. This entry was posted in Show & Tell and tagged Bootstrap, Frameworks, Google, HTML5, Material Design. Bookmark the permalink.